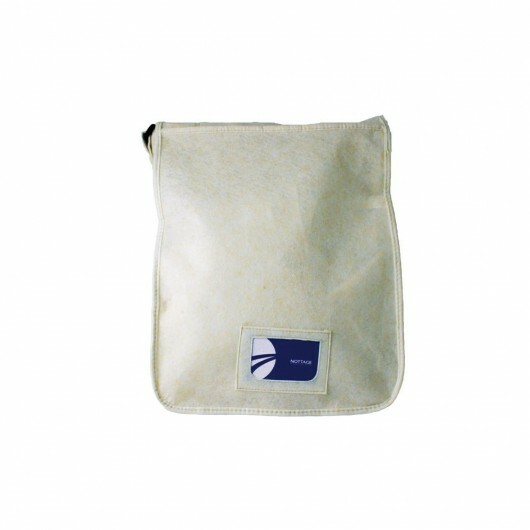 Sport the look with these Eco non-woven messenger bags. 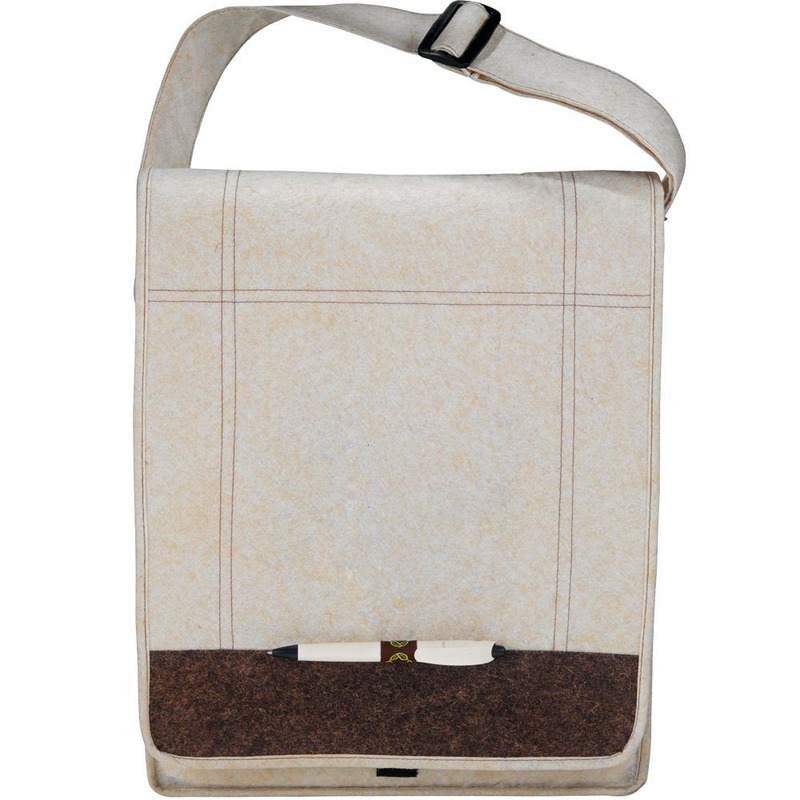 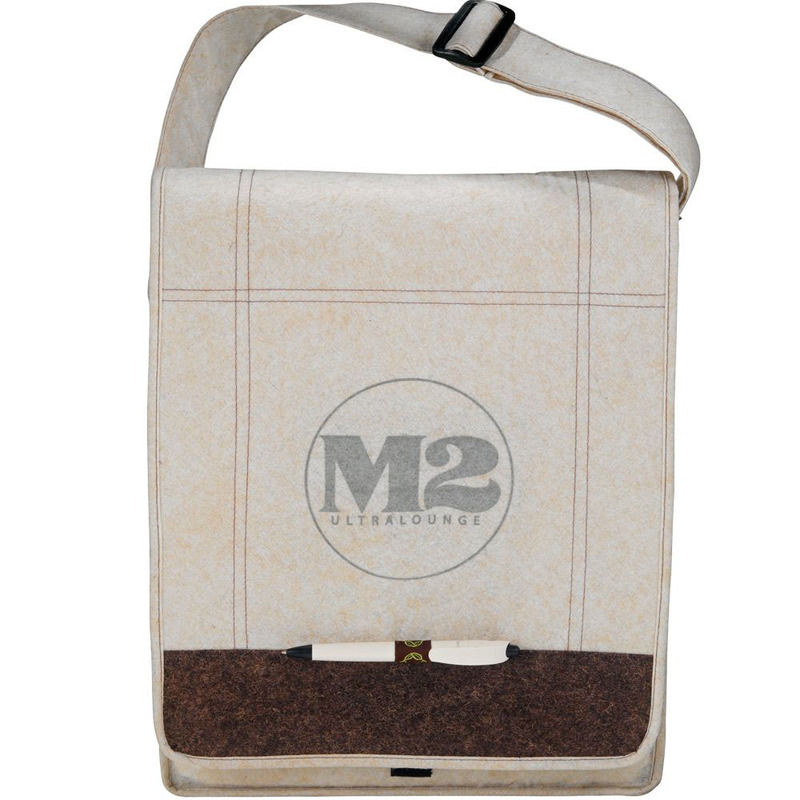 For a messenger bag that's a little different (and great for the planet) choose the Jute non-woven messenger. It features an open main compartment, a velcro closure flap and front pen loop. 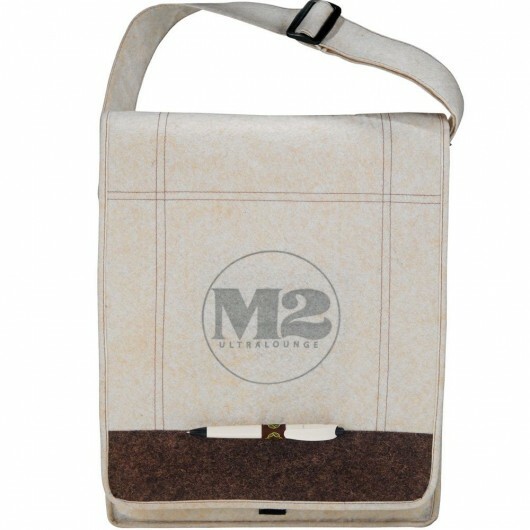 It's made from biodegradable and recycled materials and is supplied with business card stitched on the bag. Please note the pens do not come included.